Married interior design duo Nate Berkus and Jeremiah Brent return to TLC to save desperate homeowners whose money pits and dysfunctional homes have left them defeated. This season of NATE & JEREMIAH BY DESIGN is a renovation rescue of epic proportions. America’s largest known little family is back with a new season of 7 LITTLE JOHNSTONS. With the Johnston kids growing up quickly and Anna on her way to college soon, Trent and Amber continue to pack in as many memories as they can as big life changes continue for the family. Following up on the much-anticipated relaunch after a ten-year hiatus, TLC's hit home makeover series Trading Spaces will return for its tenth season on Saturday, March 16th at 8:00p.m. The emotional fan favorite series returns for its seventh season, following people who are struggling to escape the prison that their own bodies have become. Viewers will see first-hand their hardships with addiction, dependence and the inevitable impact their condition has on their closest relationships. Premiering in January 2020, this new series will feature one bride from every state across the U.S. for the ultimate group wedding ceremony officiated by TLC bridal expert Randy Fenoli. 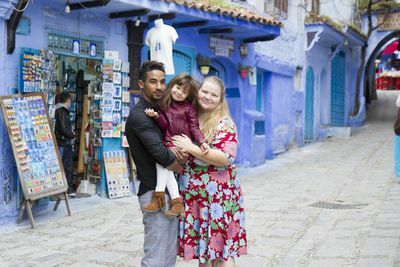 TLC TO DEBUT “THE FAMILY CHANTEL,” A SPINOFF FROM “90 DAY FIANCE"